Growing up my Mom would make a breakfast for us on special occasions that we call THE Hollandaise Breakfast. It’s Eggs Benedict but on bagels and with bacon. We love it and as it’s been shared with new family and friends, they’ve loved it too. I’ll have to share that recipe soon but I wanted to share something with you all today that would be easy to make for a crowd on a holiday morning. Let’s face it, we get busy on holiday mornings. There are the traditional festivities and crowds to cook multiple dishes for and we don’t want to be stuck in the kitchen and miss all the fun. Easy casserole recipes are my favorite breakfasts for the holidays because all the heavy lifting is done the night before so that in the morning all I have to do is preheat and bake! So Meaty Eggs Benedict Casserole is the perfect brunch breakfast for a holiday morning. 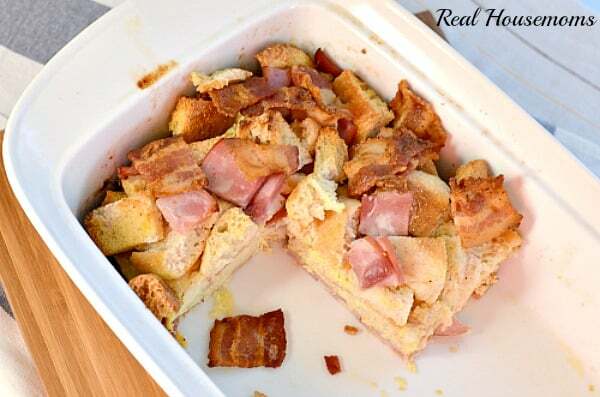 This Meaty Eggs Benedict Casserole is so simple to make and has only a few ingredients. Traditionally, Eggs Benedict is made with poached egg but I used a little creative licence here to make it easier. With a big crowd no one wants to stand over a pot of water poaching a bunch of eggs. Next, this is a decadent breakfast, it is not low fat, low cal, or low carb. It has 2 sticks of butter in the sauce alone, eggs, milk and bread. It is not intended to be eaten all the time. It’s meant as a treat for special mornings, and it’s worth the extra time on the treadmill, trust me. 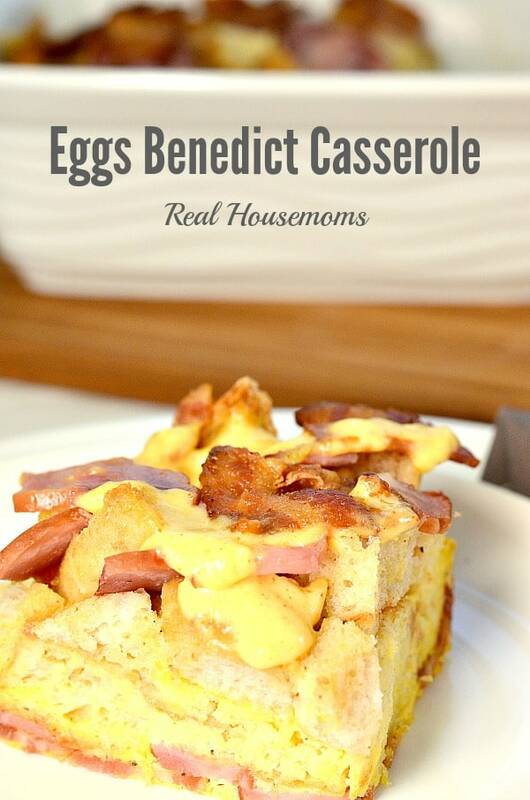 Eggs Benedict Casserole is a delicious and EASY way to serve classic eggs Benedict to a crowd! spread the remaining meat over the top of the English muffins. This may be a stupid question bur what do I do with the Hollandaise Sauce? Does it go on the casserole? If so isn’t that using raw eggs and a no-no? I’m just confused-it sounds great but I want to get it right. Thanks! The hollandaise is poured on top of the casserole and the eggs are cooked by the hot butter being poured into the blender. Oh my heavens! My favorite breakfast of all time is eggs benedict and you went and made it into a casserole. Beyond genius! Pinning to try ASAP! Could this be prepared the night before!